YourPaddleLife gives you the opportunity to achieve your best by learning from the best! All workshops are designed and delivered by Sean Rice in a relaxed group environment. No matter what experience you have, YourPaddleLife workshops are a perfect opportunity to practice and improve your paddling skills. Sean will give each person individual advice on equipment set up, stroke technique and other fundamental skills of ocean paddling. YourPaddleLife is on a mission to spread the Surfski lifestyle around the world. 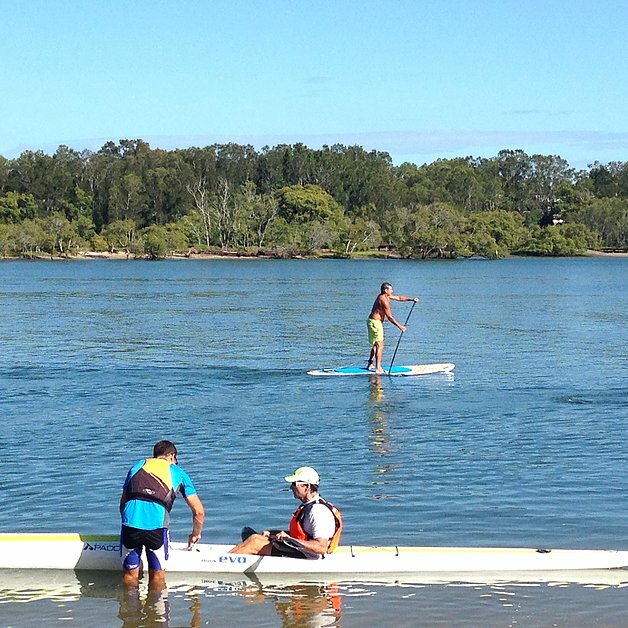 Join either a beginner or an advanced group in a city near you and join the YourPaddleLife! Stroke technique need to knows! For the ultimate personalised coaching experience, Sean Rice offers private lessons on request only. Think Kayak is a global, leading surfski and paddle gear manufacturer based in Vancouver, Canada. Think Kayak and Sean Rice have had a long and successful relationship. Since 2009, Think Kayak has provided Sean with the best equipment for racing at the highest level all around the world. We are now very pleased to have Think Kayak alongside PaddleLife. We are positive this new partnership will be extremely valuable to both Think Kayak and PaddleLife. PaddleLife is delighted to announce Vaikobi as a supporter. Designed specifically for Performance Paddling, Vaikobiʼs PaddleSport and OceanActive range has been developed by some of the worlds best paddlers. With the support of Vaikobi, the PaddleLife team are sure to be comfortable and stylish in every climate.